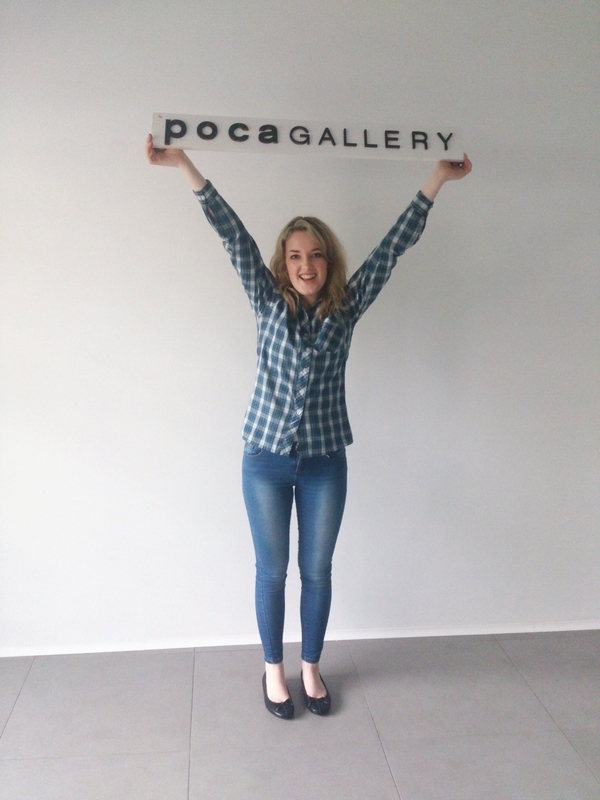 This post was meant to be Day 1 but we were exhausted after our first full day in Portugalete and Bilbao, we managed to fit in so much! 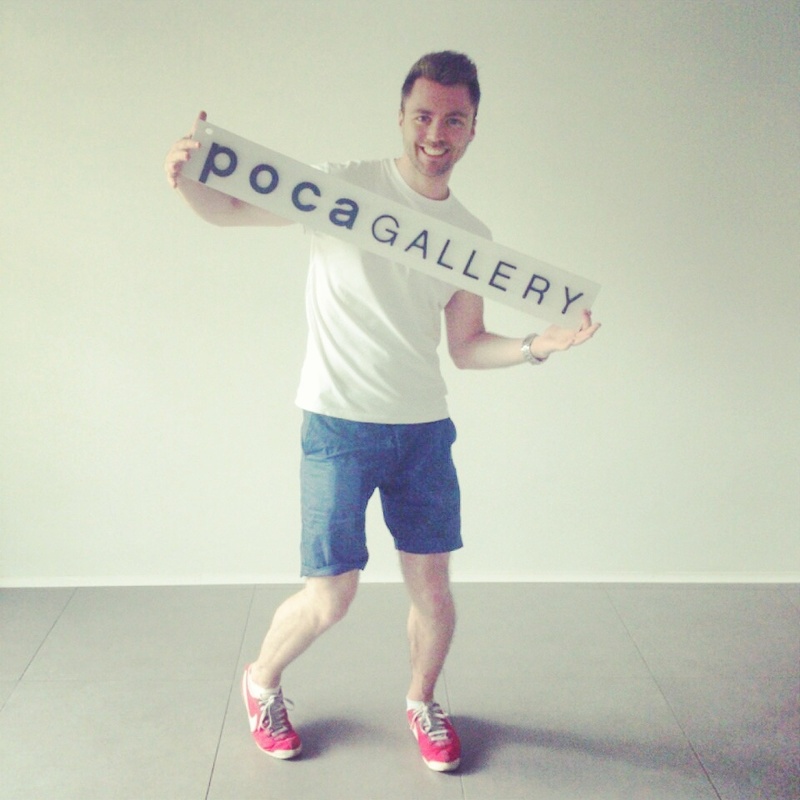 Yesterday we moved into the gallery space and met with the owners, Miguel and Teresa. They showed us around the space, running over the basics of security and helping us familiarise ourselves with what will be our studio for the next month- exciting! We immediately began to discuss what work we could make and how we’d show it, playing around with equipment (TVs & projectors) and trying to envisage what we’d be presenting on Friday evening. 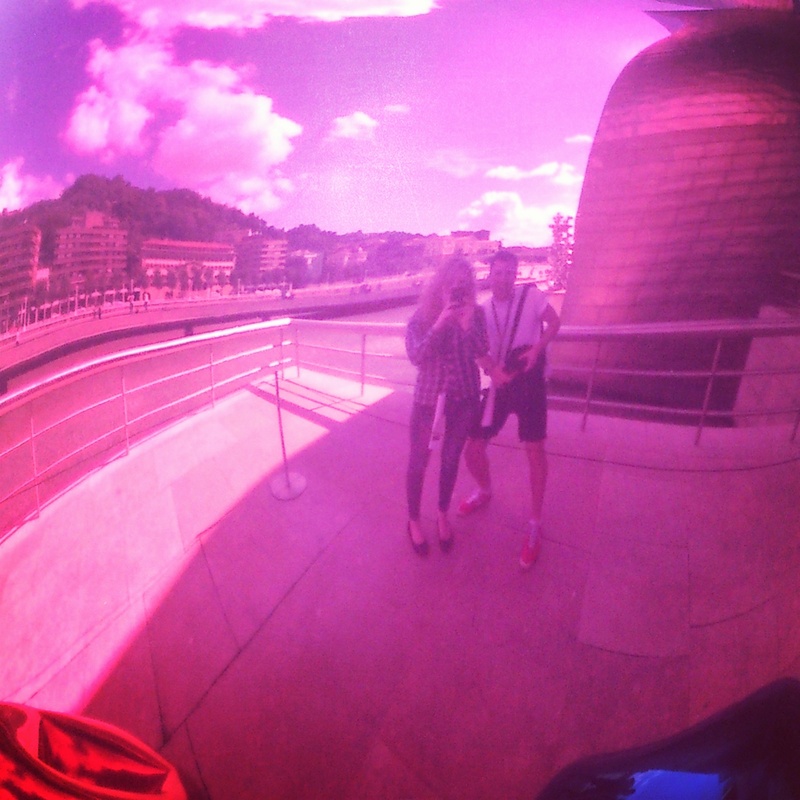 After a productive few hours in the space we decided to head in to Bilbao in search of an art shop for some basics. Unfortunately by the time we arrived the art shops had closed. Unused to the concept of siestas, we failed to realise that the shops here run on a different time schedule (Mondays-Fridays 10am-2pm then 4pm-8pm, but on Saturdays many places close at 2pm). 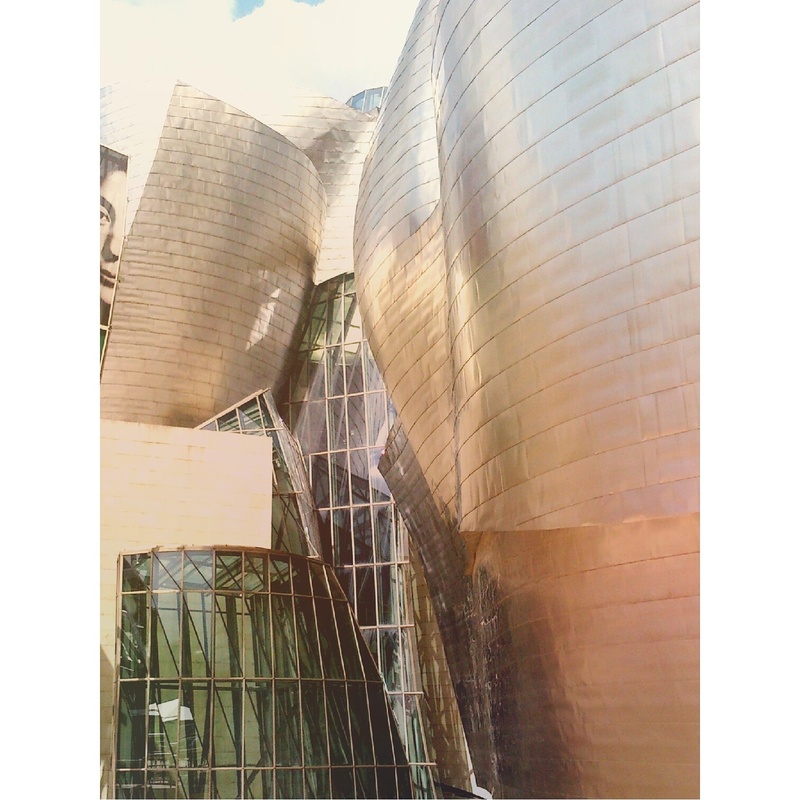 To make the most of our first trip to Bilbao, we headed straight to the Guggenheim. 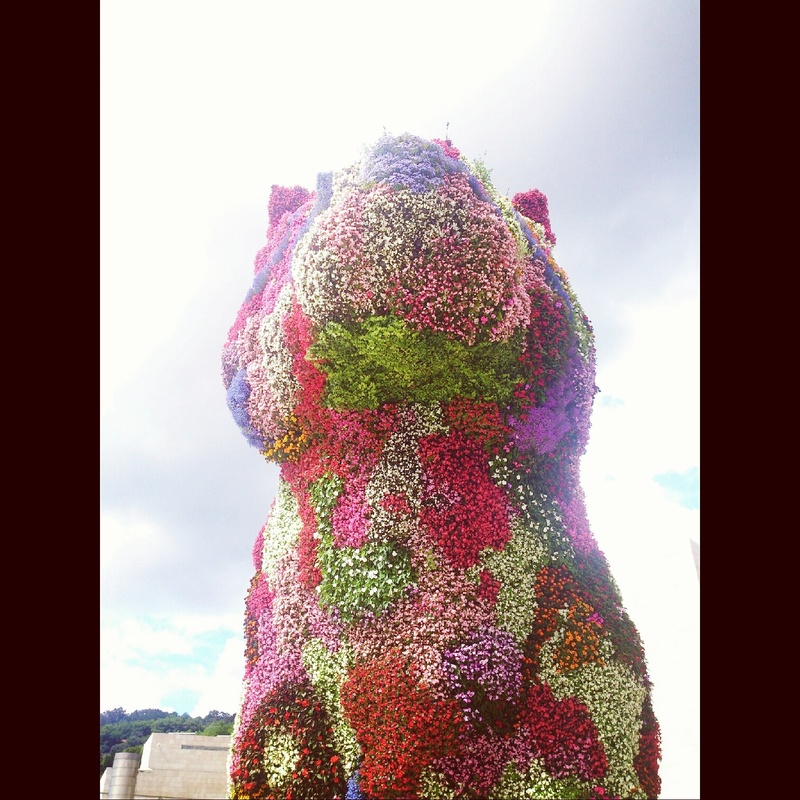 On our approach to the gallery we were greeted by the site of Jeff Koons’ bright, floral, kitsch ‘Puppy’. 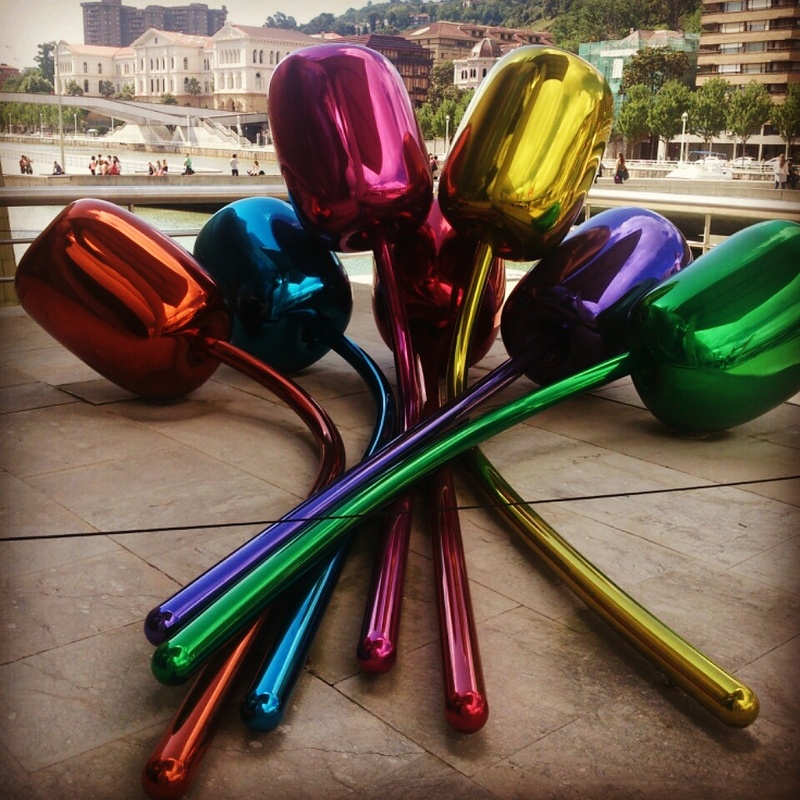 Koons’ ‘Puppy’ seems most apt considering how many small dogs we’ve spotted so far in Bilbao! Seeing the gallery up close in person was brilliant, the building itself really is a work of art in its own right. Current exhibitions at the gallery include work from Georges Braques and Yoko Ono, however I personally was more interested in Richard Serra’s ‘The Matter of Time’ and Ragnar Kjartansson’s video installation ‘The Visitors’, as they were far more immersive. The echoes produced walking through Serra’s work inspired me to record sounds which I intend to incorporate in my own work. Afterwards we headed back to Abatxolo which took longer than anticipated as we ended up taking the wrong line! When we did eventually make it home we relaxed by watching ‘Pan’s Labyrinth’…with subtitles on- our Spanish isn’t quite there yet!